The spread of the Zika Virus is exploding in Central and South America. There are no current vaccines or medications available for the virus, of which the infection rate is currently estimated at 1 in 5. As much as 80% of the people infected by a simple mosquito bite may not exhibit any symptoms. Symptoms can vary from fevers and rashes to the widely publicized and potentially fatal birth defects. Sawyer’s entire line of topical insect repellents and Permethrin fabric insect repellent have been tested and are effective against the mosquito that transmits this virus. 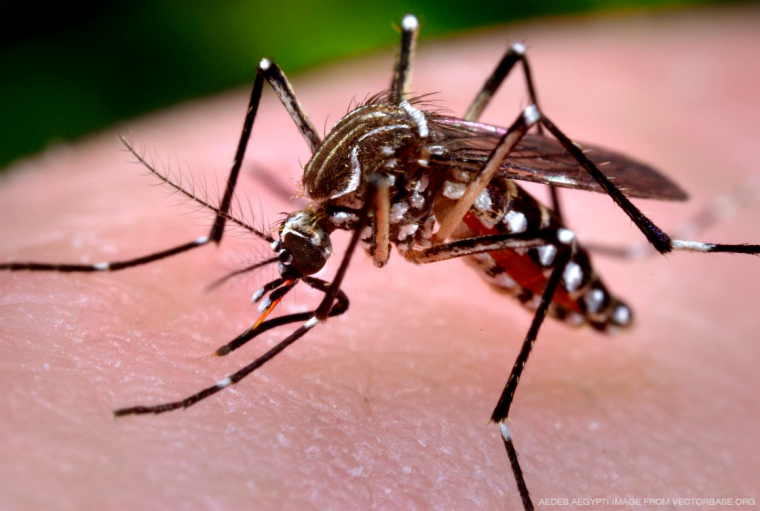 The Aedes aegypti mosquito species is often referred to as the Yellow Fever mosquitoes but can also transmit the Zika Virus, Malaria, Dengue Fever, and other diseases. This species originated in Africa but has spread across the world in tropical and subtropical regions, including parts of the southern United States. It is a very resilient species and highly adapted to the urban environment, even where water is less prevalent. Fortunately, we do know what is effective against this disease carrying mosquito. We highly encourage the use of our odorless Permethrin clothing and fabric insect repellent as the first layer of defense. Sawyer Permethrin repels and kills mosquitos and ticks for 42 days or 6 washings and does not harm any fabrics or finishes. It can be used to treat clothing, footwear, bedding, strollers, tents, and many other types of fabric. The more surface area you have treated, the more protected you are from mosquitoes as they hop around you. It is completely odorless after it has dried and is safe for use around the entire family. The second layer of defense should be a comfortable and effective topical insect repellent. For routine use, we recommend lotion based insect repellents. In addition to lasting longer and being more comfortable to wear, our time release DEET lotions and Picaridin lotion are more gentle on your skin than alcohol based spray formulas. Sawyer Controlled Release is a 20% DEET time release formula that lasts up to 11 hours against mosquitoes. Sawyer Ultra 30 provides a slightly higher level of protection for up to 12 hours with 30% DEET and a very comfortable liposome base. Sawyer 20% Picaridin lotion insect repellent can last 14 hours but with added protection against flies. Our gear safe Picaridin lotion and spray formulas are quickly becoming the more popular choice with our customers. The Zika Virus is a serious issue that is justifiably causing concern as it sweeps across the globe. The scientific community has now expedited the search for a cure but also admits that the process can take years. The Zika Virus has now joined the dialogue along with Malaria and other preventable life threatening diseases. Sawyer is pleased to offer effective products that help prevent the transmission of these diseases and will continue to expand our product line to protect outdoor enthusiasts and daily users alike. This entry was posted in Sawyer Insect Repellents. Bookmark the permalink. Mossy Oak Brand Camo® and Mossy Oak® are licensed trademarks of Haas Outdoors, Inc., and the Mossy Oak Apparel Company.